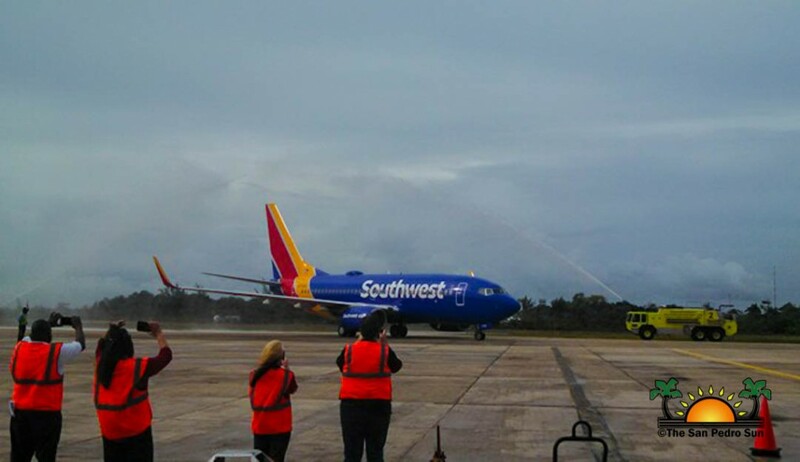 October 15, 2015 marked the much-heralded arrival of Southwest Airlines' inaugural flight to Belize. Flying out of Hobby International, the flight landed just at 3PM, to much fanfare and Southwest fun! 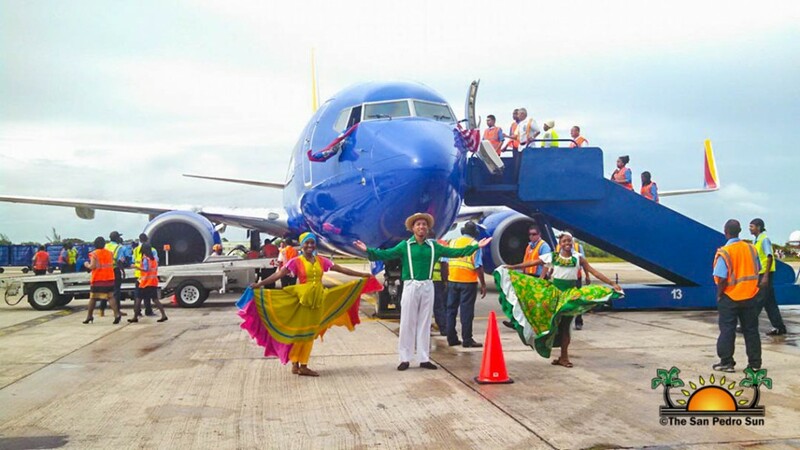 Formal ceremonies took place inside the Philip Goldson International Airport, at the Southwest boarding area. 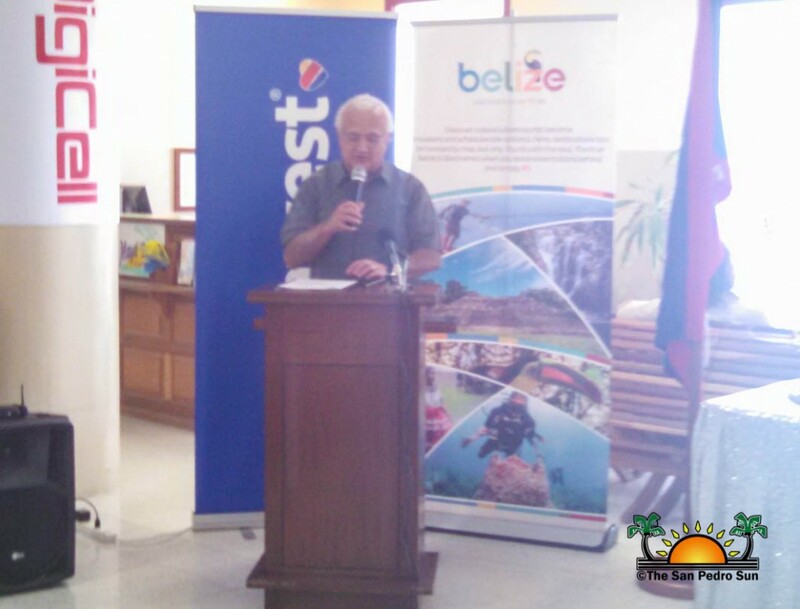 Speakers included US Ambassador to Belize, Carlos Moreno, Jorge Espat - Managing Director of the Belize Airport Concession Co., Hon. Manuel Heredia Jr. - Minister of Tourism, Culture & Civil Aviation, and James Ashworth, Managing Director of Customer Support and Services Southwest Airlines. 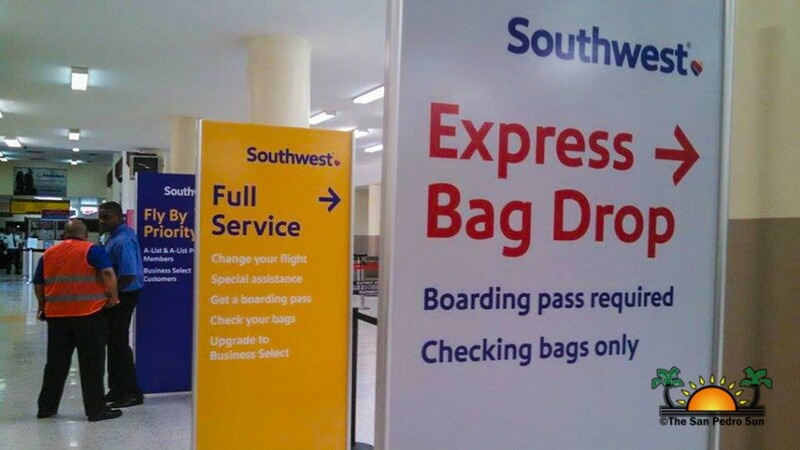 According to Ashworth, the Southwest effect is tremendous, causing a drop in air flight prices by 'as much as 30%' wherever they go. Espat highlighted that point, indicating that while arrivals clocked in a 2.5% increase last year (2014), the Southwest effect seems to have caused an increase of up to 27% in the months since the announcement of their arrival alone! Right on scheduled time, the sound of Flight #827's arrival signaled the start of the real excitement, and everyone moved out side to witness the blue craft come down the runway. 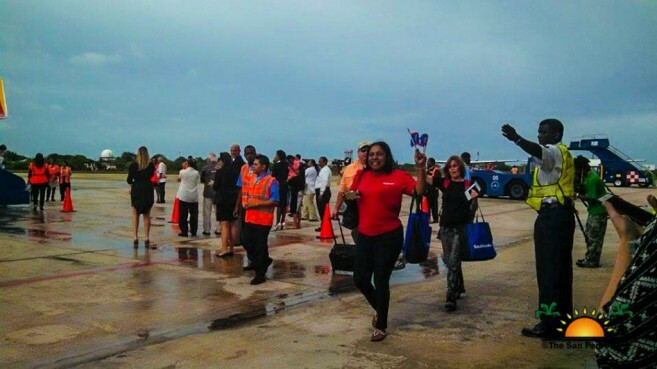 The plane glided in under the traditional shower of water, and despite earlier rains, the warm Belizean sun peeked and spread its rays on the aircraft in welcome. From the cabin windows, the captains waved both the Belize and US flag, and below, the gathered crowd cheered. 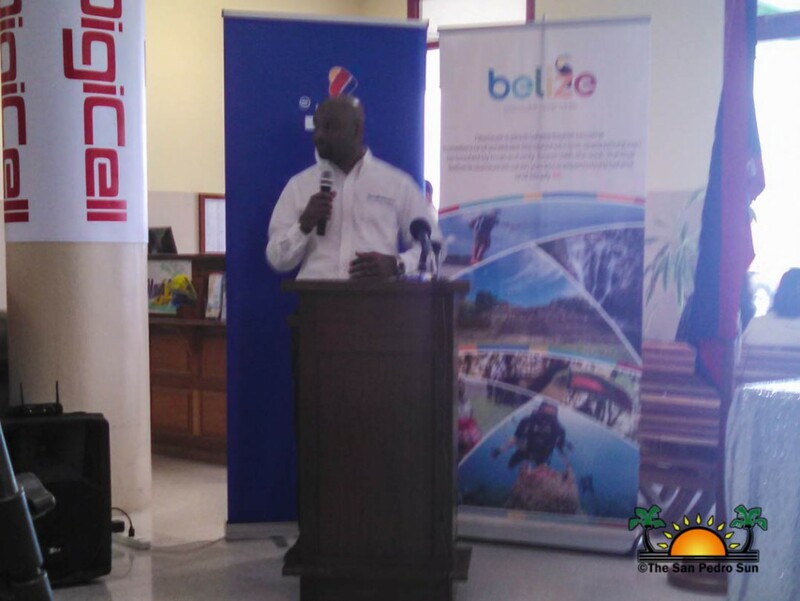 Greeting the passengers and Southwest family were Ambassador Moreno, Minister Heredia and Belize Tourism Board's Karen Bevans, other stakeholders in the tourism and aviation industry, as well as the media. On board the inaugural flight were three Belizean crew members: Flight attendant Dion Spain, Captain Lindley Reyes, and Jason Martinez. The San Pedro Sun has the opportunity to experience Southwest, and took the return flight #1013 to Houston. Associate Editor Mary Gonzalez will be experiencing the gateway city, and is eager to promote Belize as a fantastic, fun destination just two hours away!